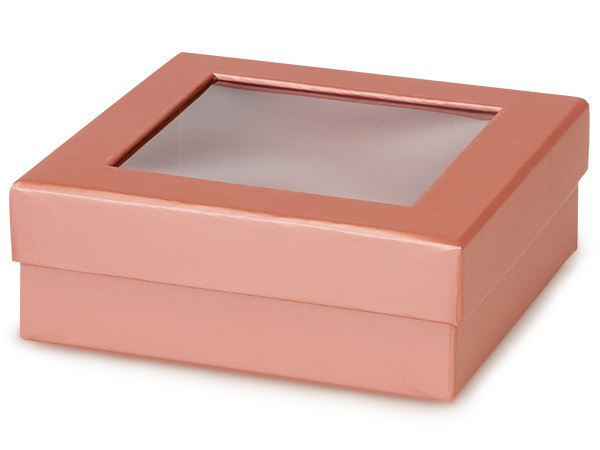 These medium square, metallic rose gold 2 piece candy gift boxes are sold in bulk. These rigid boxes with windows are the perfect packaging for candy, cookies or other gourmet food. The rose gold color is the perfect pink for jewelery or other feminine giftts. Inside dimensions of the box are: 5.5" L x 5.5" W x 2" H.